The reality show will accept applications until the 30th of November from enthusiastic entrepreneurs that are aiming to make a change. 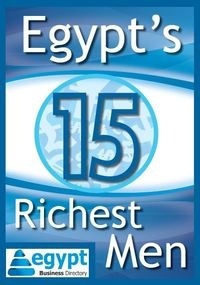 In 2013, the Arab world will witness its second major reality TV show for entrepreneurs in Egypt: El Mashrou3, announcing its casting sessions just a couple of weeks after the launch of the first episodes of "The Entrepreneur", Du's first reality TV competition focused on entrepreneurship in the region. Aimed towards aspiring Egyptian entrepreneurs and social entrepreneurs (aged between 18-35 years), El Mashrou3 (which means "the project" in Arabic) is open to anyone who has a startup business, a social project, or an idea for a project not started yet. If you already launched a small or early stage business and you want to grow or change it, or you wish to scale an informal business that is not registered yet, you can apply to El Mashrou3 as well, by November 30th, 2012. The show will choose 16 contestants whose projects have the potential to create jobs, have a social or environmental impact, and make money. One of many ideas the show will be tackling is the challenges of social change and entrepreneurship in Egypt. For those interested, you can apply at www.elmashrou3.tv or email Casting@elmashrou3.tv.